The retailer is outperforming supermarkets but its clothes sales are still struggling. It’s probably safe to say these weren’t the Christmas results M&S chief exec Marc Bolland was hoping for. The retailer’s UK like-for-like sales in the 13 weeks to December 27th slumped by 2.7% as womenswear and online sales continued to struggle to keep up with its more successful food arm. In a statement today it said its autumn/winter clothing ranges had received positive feedback from customers, but this had somehow failed to translate into a sales boost, as non-food revenue dipped 5.8% on a like-for-like basis, its 14th consecutive quarter of decline. Online sales performed particularly badly, down 5.9%, after disruption at the company’s distribution centre in Castle Donnington. This delayed deliveries and forced M&S to suspend click-and-collect at times over the period as it struggled to cope with the strain of Black Friday. ‘We had a difficult quarter in General Merchandise, dominated by unseasonal conditions and an unsatisfactory performance in our e-commerce distribution centre,’ Bolland said. There are some positive signs, though. 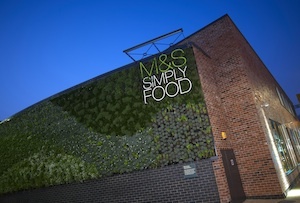 M&S food sales were up 2.8% (0.1% like-for-like), with record sales and 17% growth in the week leading up to Christmas. This looks especially good compared with the likes of Sainsbury’s and Tesco, which have both delivered pretty depressing Christmas updates despite beating expectations. This wasn’t enough to stave off ire from analysts and investors though. ‘Unfortunately, this dismal set of figures indicates… momentum has not been carried through into the Christmas quarter,’ said Neil Saunders, managing director of analysts Conlumino. ‘Even more discouraging is the fact that the progress from Christmas 2013, when M&S presented a fairly sound set of trading numbers, has not been built upon.’ Investors weren’t pleased either as M&S’s share price plunged by 4.6% to 442p this morning. M&S kicked off the Christmas period with an upbeat ad featuring fairies delivering its goods to unsuspecting customers. Bolland and co could do with another touch of supernatural intervention if they hope to turn things around. 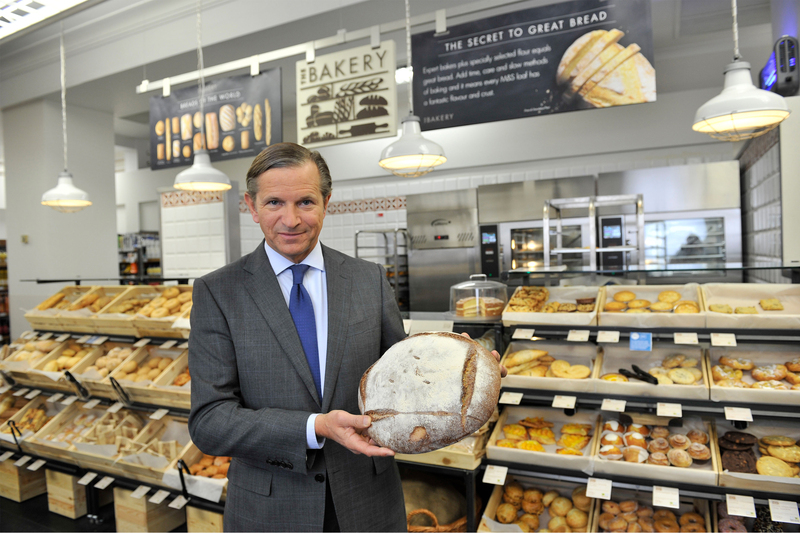 Is John Rogers the next CEO of Sainsbury's?